Ranai (らない), formerly known as Ganbaranai (がんばらない) and Hayase (はやせ), is an SSB4 Villager player from Kansai, Japan, and is considered the best Villager player in the world. Ranai is currently ranked 21st on the Panda Global Rankings 100 and was formerly ranked 13th on the JAPAN Power Rankings. He has taken sets off of top players such as Nairo, Dabuz, Ally, Larry Lurr, komorikiri, Mr.R, Abadango, and Salem. He is currently inactive. In SSBB, he was well regarded for possessing an extensive character roster. Ranai's initial notable tournament was KSB 2015, a Japanese major with custom moves enabled, where he won with non-custom Villager. He'd make an impressive Losers' run, following an early loss to Choco, defeating Nietono, Brood, Earth, and RAIN, making it to Grand Finals, where he defeated komorikiri. After KSB, he maintained high placements at Japanese tournaments. 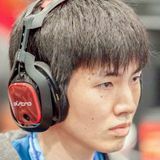 Despite being unable to attend EVO 2015, he would attend Japan's first national, Umebura F.A.T., though he placed a middling 13th. He would resume his high placements afterwards. Ranai would travel to the United States to attend GENESIS 3, quickly becoming a fan favourite. He would win Doubles with Komorikiri, defeating ZeRo and Nairo 3-1 in the second set of grand finals after initially losing to them 2-3 in the first set. In Singles, he placed 3rd, defeating Marss, Ally, and FOW, before falling to ZeRo in a close set, and to Dabuz. Following GENESIS 3, Ranai's results became far more inconsistent, notably placing 7th at Niconico Tokaigi 2016, and 9th at Shots Fired 2. After sparse tournament attendance, he would return to the United States to attend EVO 2016, placing 5th, and defeating Nairo, Marss, and Dabuz, before falling to VoiD. At Umebura S.A.T., he would repeat his 13th placing in Singles, falling to Tsu- and T. In Doubles, he'd place 1st with komorikiri, defeating the top Japanese team of Taiheita and Gomamugitya. At GENESIS 4, hoping to repeat his previous success, he fell short. In Singles, he placed 9th, falling early to Rich Brown, and failing to advance to Top 8, falling to komorikiri. In Doubles, he and komorikiri placed 2nd, being double eliminated by Ally and MkLeo (1-3 in both winners semis and grand finals), though they would once again defeat ZeRo and Nairo 3-2 in losers semis. Having qualified for Niconico Tokaigi 2017 at the Karisuma Tokaigi Qualifiers, Ranai would perform markedly better, placing 5th, defeating Mr.R, before falling to Abadango and KEN. With a commitment to travel and compete more, he would return to the USA for Frostbite 2017, though his performance was mediocre, placing 33rd in Singles, falling to WaDi and Ally. In Doubles, he and komorikiri would place 9th, falling early to WaDi and Dark Wizzy, before failing to make Top 8, defeated by VoiD and NAKAT. His most notable performance would be during the USA VS Japan crew battle, where following a massive deficit, he, Kameme, and komorikiri would surmount a comeback and take it over the USA crew, upsetting expectations of a USA win. Traveling to Florida for Frame Perfect Series 2, he performed notably better compared to his last visit. He placed 7th in singles, defeating Salem 3-0, before falling to MkLeo 0-3 and Captain Zack 0-3. At 2GGC: Civil War, he placed 17th in Singles, and 9th in doubles with komorikiri. He was voted to participate in the April Saga Round Robin, to determine the theme of the April tournament. Utilising Greninja, he won the event. Ranai also participated in the crew battle, playing for Team ZeRo. At KSB 2017 he placed 7th, was sent to losers by MkLeo with 0-2 and eliminated by Earth with 0-2. At Umebura Japan Major 2017 he placed 13th, sent to losers by Choco 0-2 and eliminated by Nietono in a close 1-2 set. In doubles, he placed 2nd with komorikiri, falling to Choco and Nietono in the winners' semi finals. They faced MkLeo and Mew2King in Grand Finals. They reset the bracket 3-2, but were defeated in the second set 1-3. He traveled to California to attend 2GGC: Greninja Saga, after previously winning the round robin in 2GGC: Civil War using Greninja. He was sent early to losers in an upset by TLTC 1-2, and then was eliminated by Abadango 2-3, placing 17th overall. At EVO 2017, Ranai solidly went through the winners bracket. He played a highly anticipated set against ZeRo in Round 1 of Top 48, but narrowly lost 1-2. He immediately lost in losers to WaDi 1-2, placing 17th. Ranai served as a playtester for Super Smash Bros. Ultimate, alongside fellow competitive players aMSa, 9B, and Earth. This page was last edited on January 7, 2019, at 12:35.